Growing fresh fruit and vegetables on beautiful farmlands is a long-standing Rhode Island tradition. The Rhode Island Fruit Growers Association, made up of over 30 local farmers, has grown high quality fresh fruits and vegetables for Rhode Island for 100 years. The Rhode Island Fruit Growers Association began in 1913 with a group of dedicated apple orchardists from Providence and Kent Counties. Over the years, RIFGA has expanded to include growers of many tree fruits, as well as berries. Today, RIFGA continues the traditions started over a century ago. Throughout the season our members have the support and assistance of URI and UMASS Cooperative Extensions. Their continuous research and ongoing fieldwork aid and advance our farmers’ ability to produce healthy, savory fruit. Please consider joining the Rhode Island Fruit Growers Association. You don’t have to be a farmer to join our organization... we welcome all fruit growing enthusiasts! 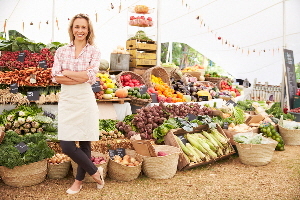 Numerous farmers markets are operated by the Rhode Island Department of Agriculture. Many of our members join in and sell their produce directly to you! Many of our members offer group tours for school-age children. 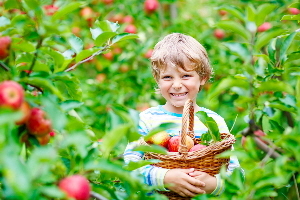 Call your local orchard and make arrangements for your school group today!